McGraw-Hill/Irwin Copyright © 2012 by The McGraw-Hill Companies, Inc. All rights reserved. 1 McGraw-Hill/Irwin Copyright © 2012 by The McGraw-Hill Companies, Inc. All rights reserved. 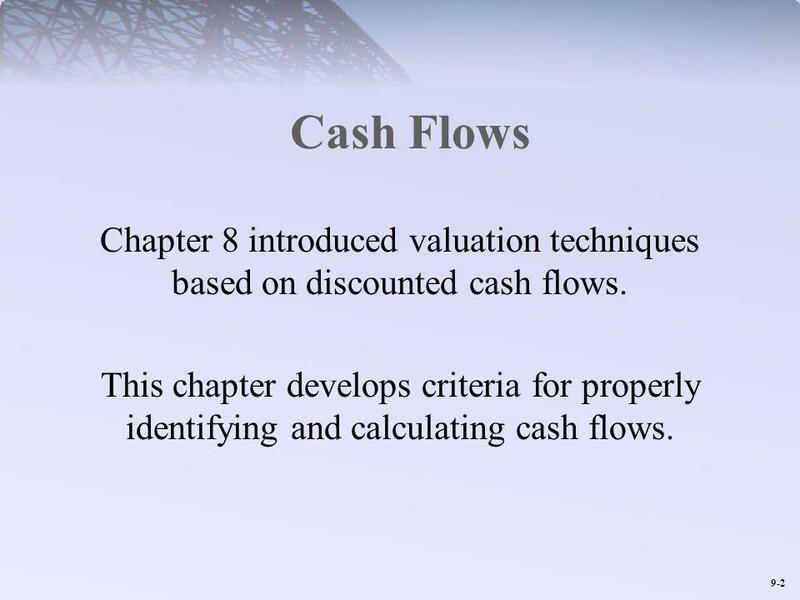 2 9-2 Cash Flows Chapter 8 introduced valuation techniques based on discounted cash flows. 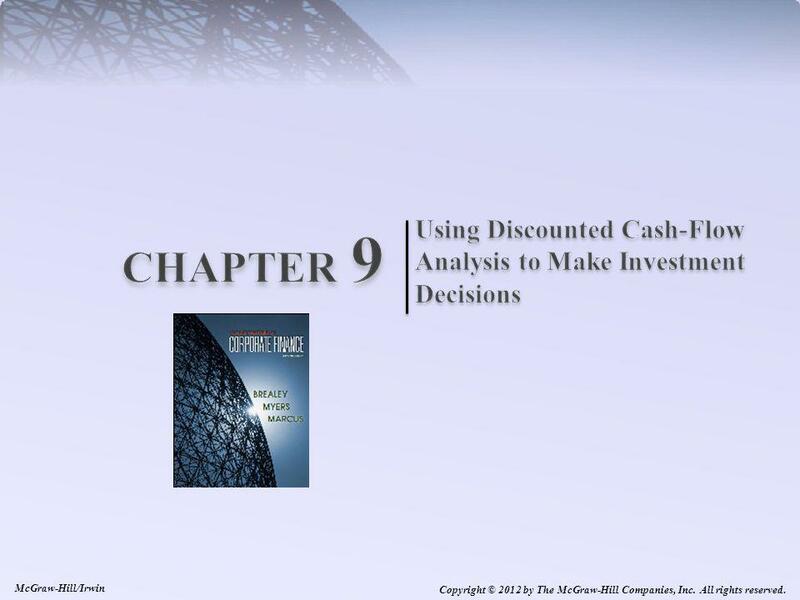 This chapter develops criteria for properly identifying and calculating cash flows. 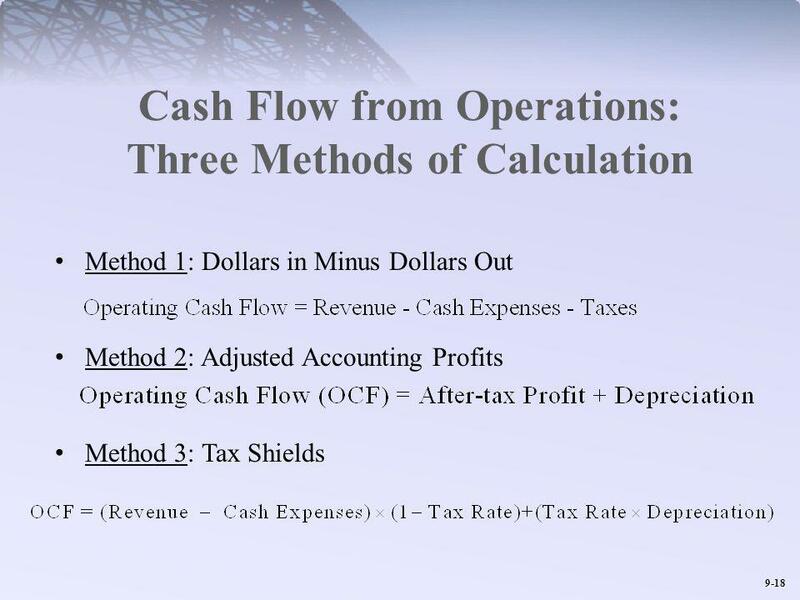 3 9-3 Identifying Cash Flows: Cash Flow vs. Accounting Income Discount actual cash flows, not necessarily net income. 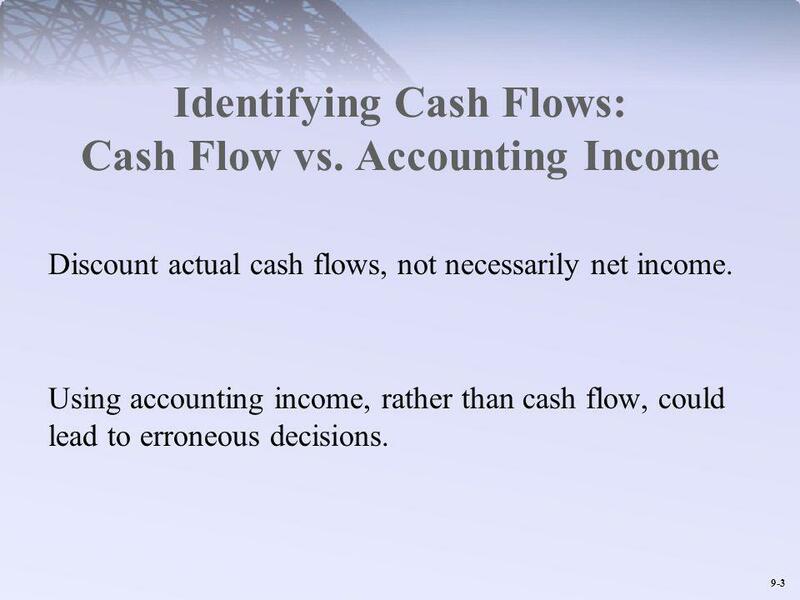 Using accounting income, rather than cash flow, could lead to erroneous decisions. 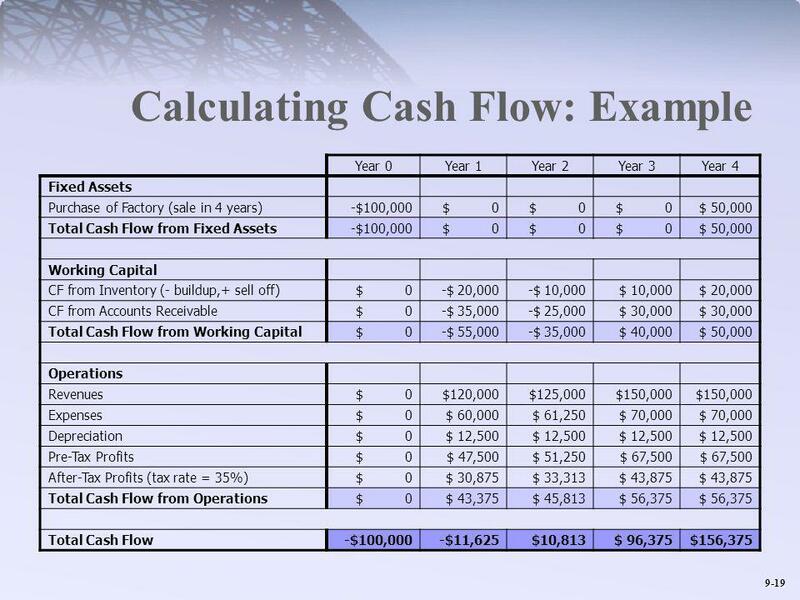 4 9-4 NPV: Accounting Income - Example A project costs $2,000 and is expected to last 2 years, producing cash income of $1,500 and $500 respectively. 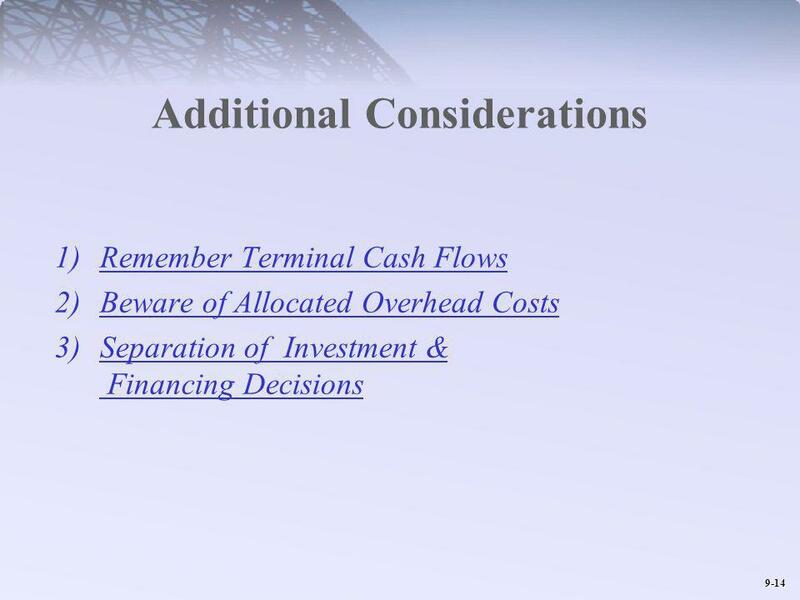 The cost of the project can be depreciated at $1,000 per year. 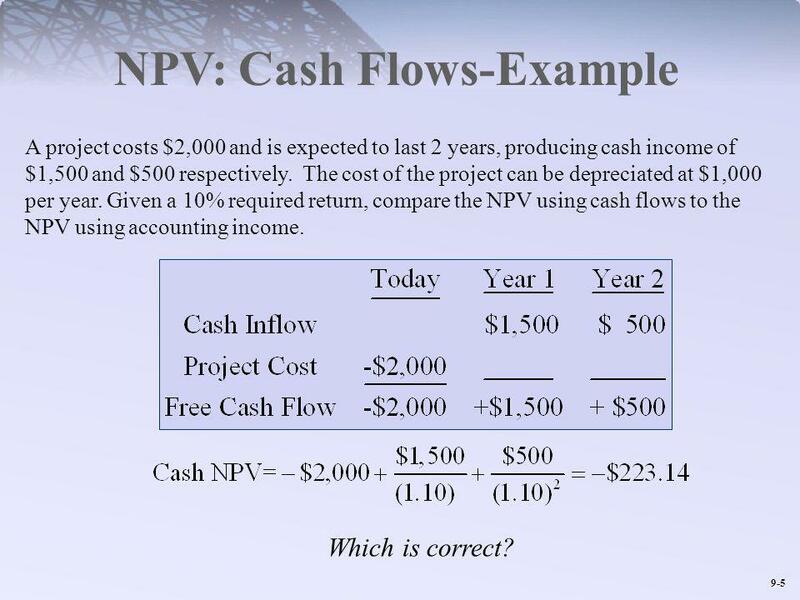 Given a 10% required return, compare the NPV using cash flows to the NPV using accounting income. 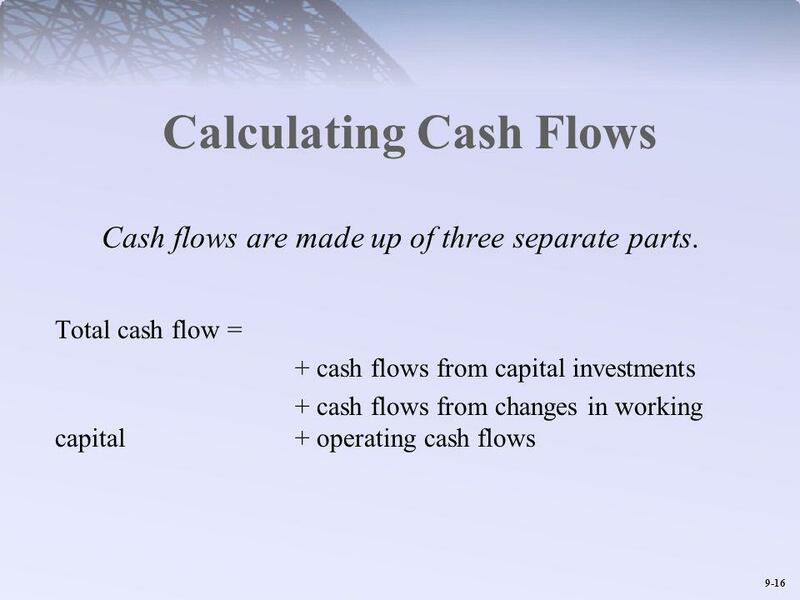 5 9-5 NPV: Cash Flows-Example Which is correct? A project costs $2,000 and is expected to last 2 years, producing cash income of $1,500 and $500 respectively. The cost of the project can be depreciated at $1,000 per year. 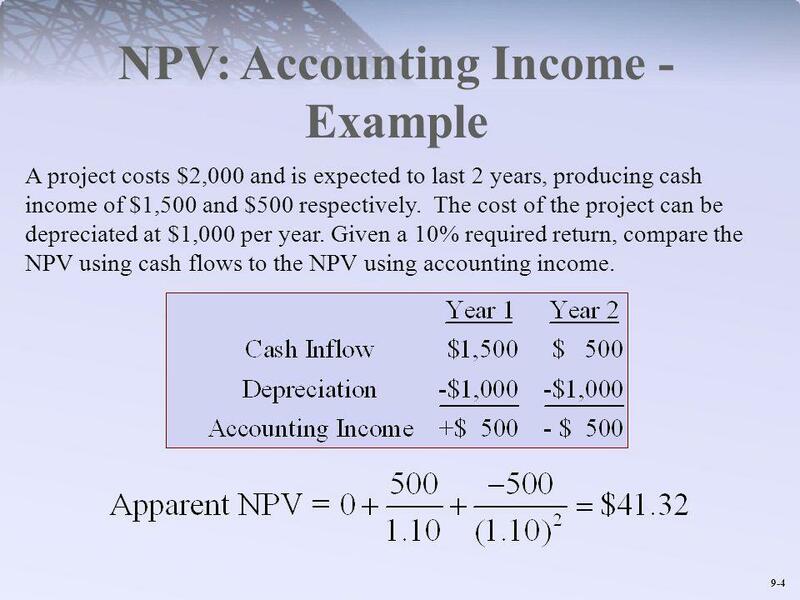 Given a 10% required return, compare the NPV using cash flows to the NPV using accounting income. 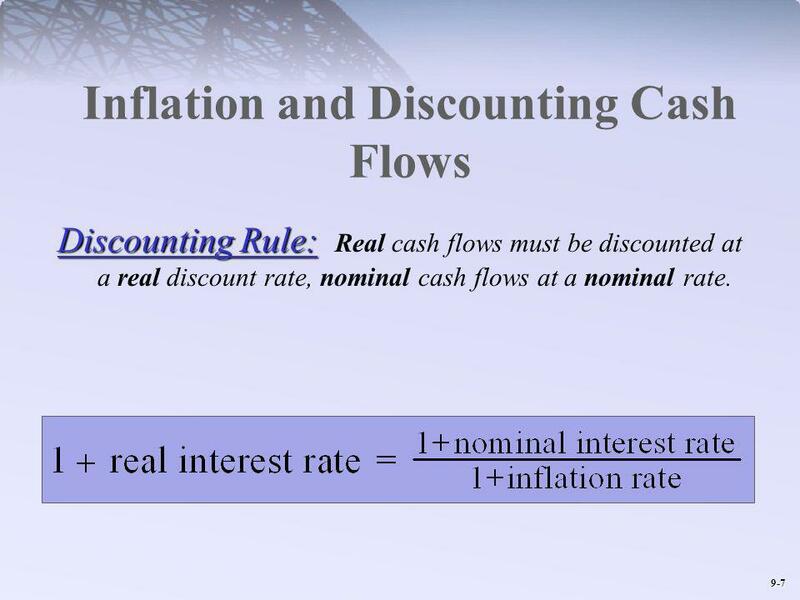 7 9-7 Inflation and Discounting Cash Flows Discounting Rule: Discounting Rule: Real cash flows must be discounted at a real discount rate, nominal cash flows at a nominal rate. 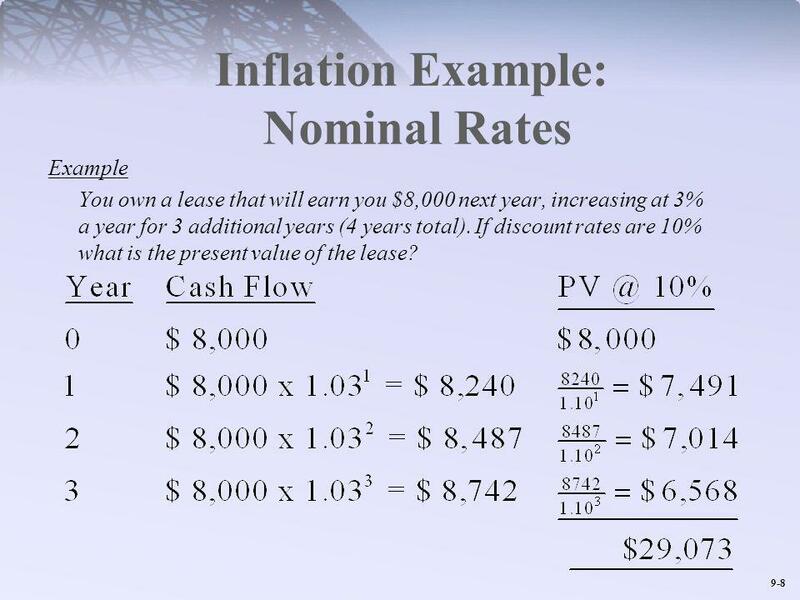 8 9-8 Inflation Example: Nominal Rates Example You own a lease that will earn you $8,000 next year, increasing at 3% a year for 3 additional years (4 years total). If discount rates are 10% what is the present value of the lease? 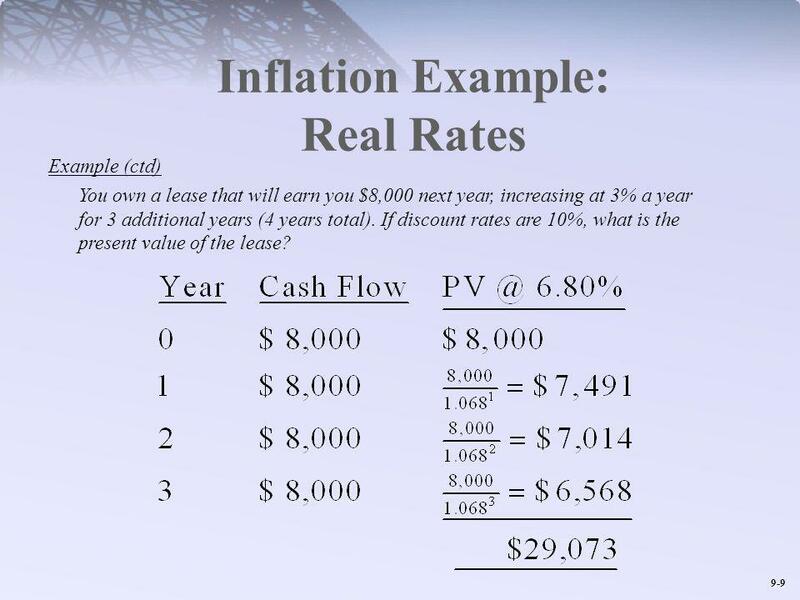 9 9-9 Inflation Example: Real Rates Example (ctd) You own a lease that will earn you $8,000 next year, increasing at 3% a year for 3 additional years (4 years total). If discount rates are 10%, what is the present value of the lease? 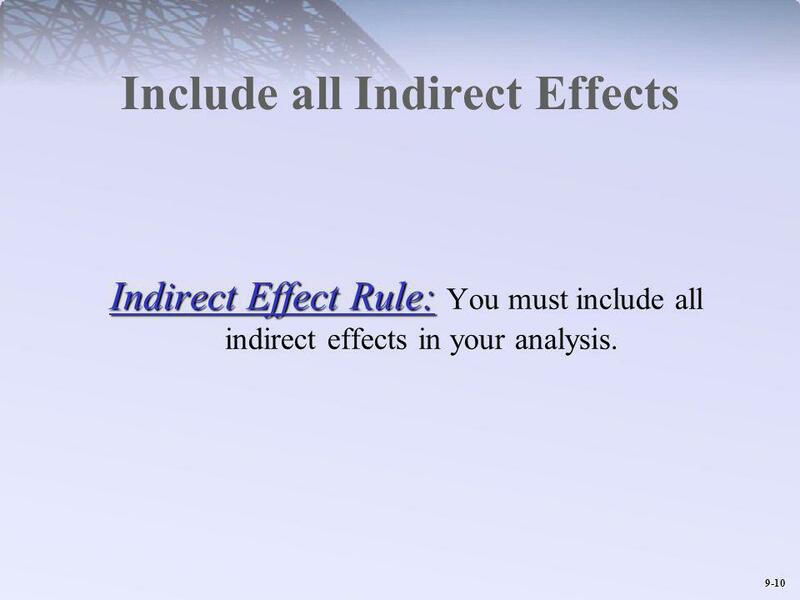 10 9-10 Include all Indirect Effects Indirect Effect Rule: Indirect Effect Rule: You must include all indirect effects in your analysis. 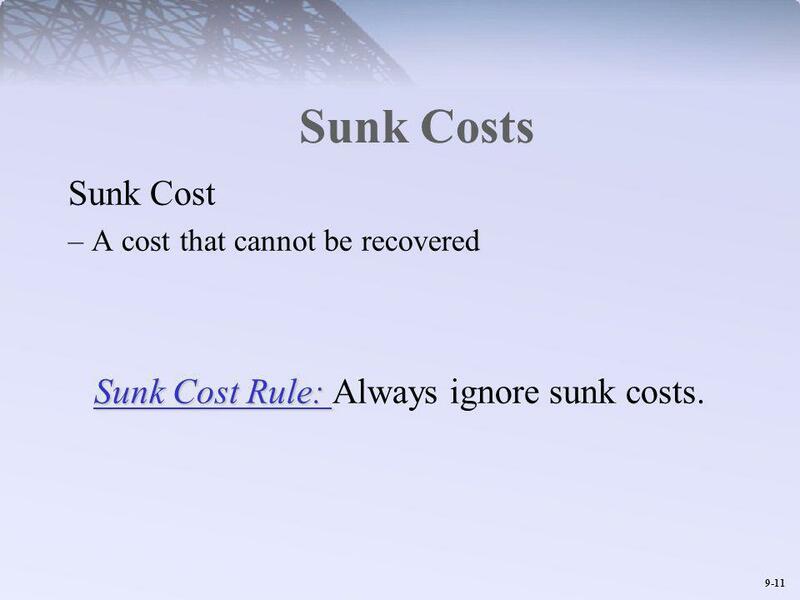 11 9-11 Sunk Costs Sunk Cost – A cost that cannot be recovered Sunk Cost Rule: Sunk Cost Rule: Always ignore sunk costs. 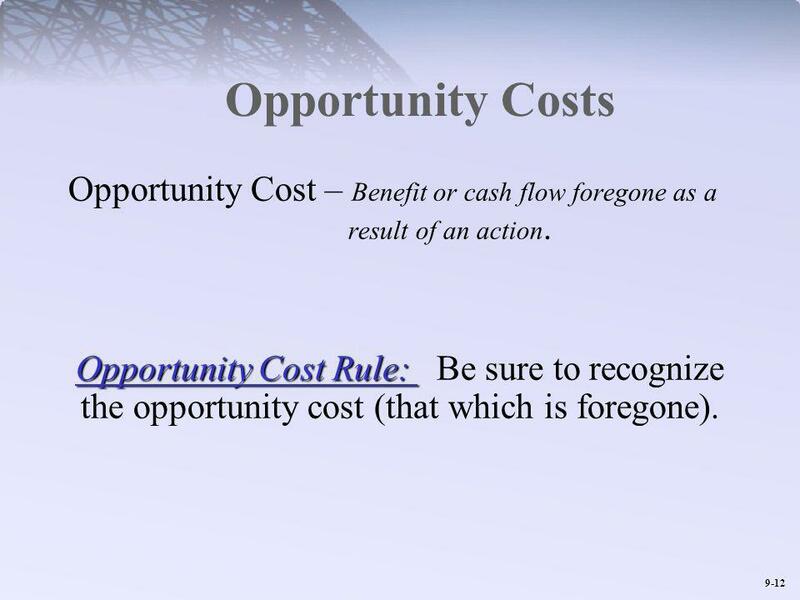 12 9-12 Opportunity Costs Opportunity Cost – Benefit or cash flow foregone as a result of an action. Opportunity Cost Rule: Opportunity Cost Rule: Be sure to recognize the opportunity cost (that which is foregone). 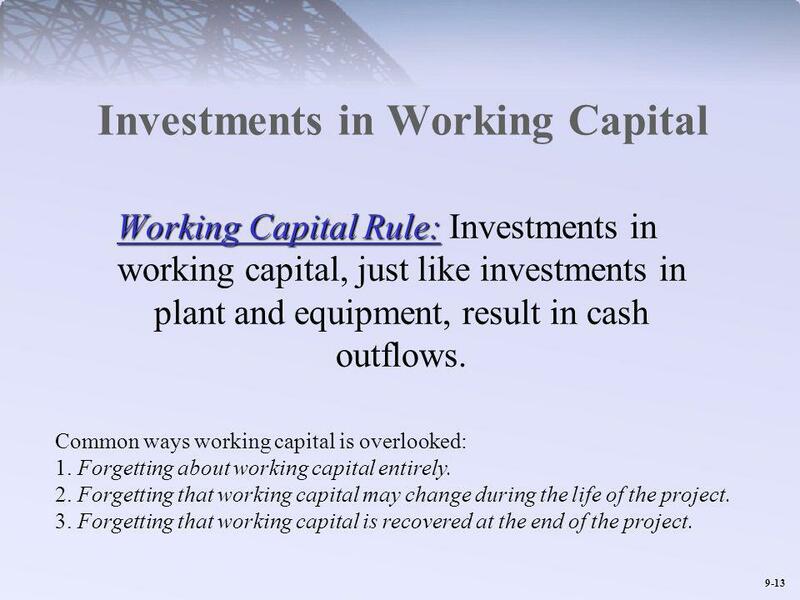 13 9-13 Investments in Working Capital Working Capital Rule: Working Capital Rule: Investments in working capital, just like investments in plant and equipment, result in cash outflows. 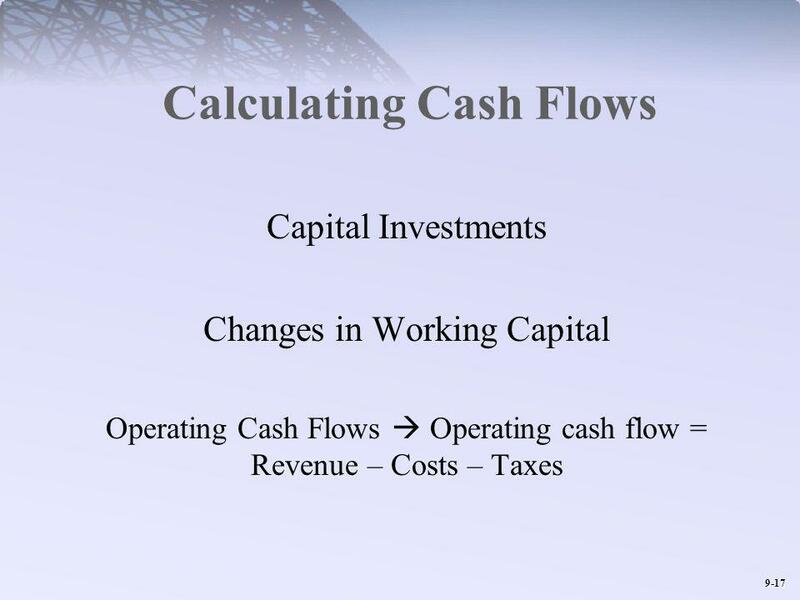 Common ways working capital is overlooked: 1. Forgetting about working capital entirely. 2. 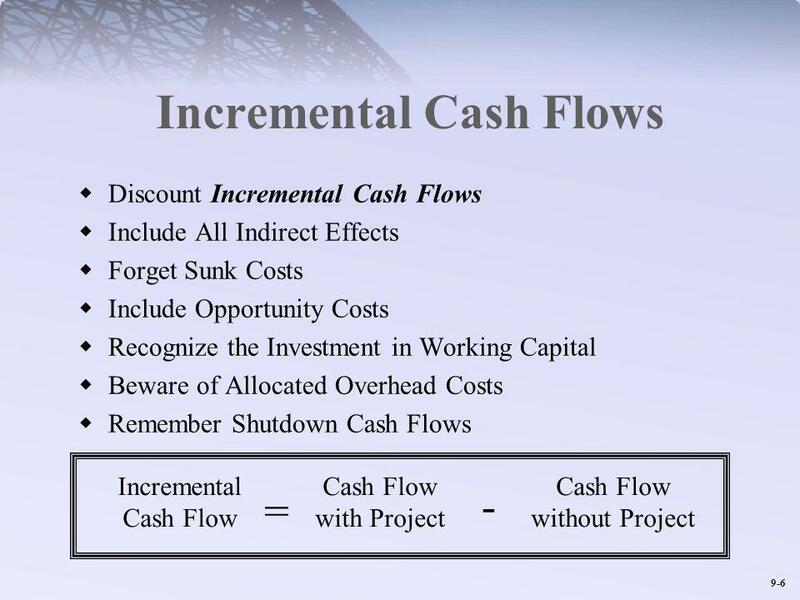 Forgetting that working capital may change during the life of the project. 3. Forgetting that working capital is recovered at the end of the project. 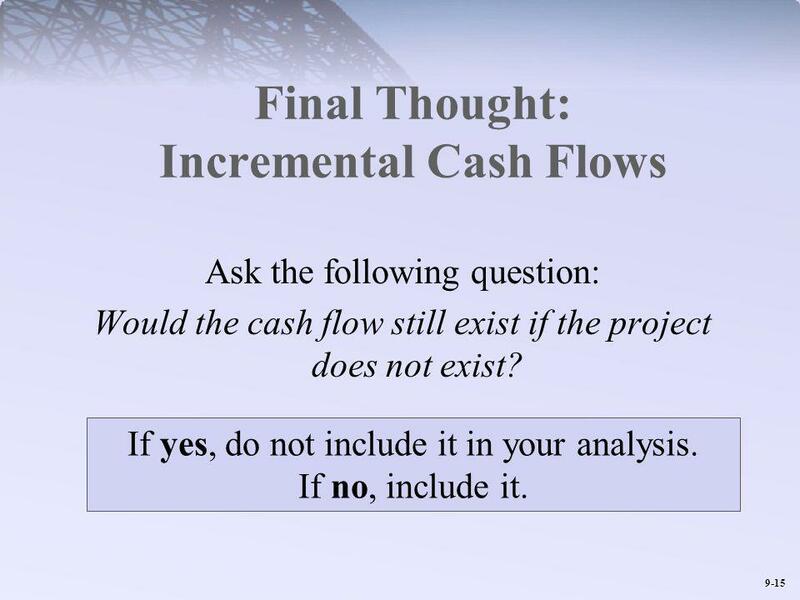 15 9-15 Final Thought: Incremental Cash Flows Ask the following question: Would the cash flow still exist if the project does not exist? If yes, do not include it in your analysis. If no, include it. Download ppt "McGraw-Hill/Irwin Copyright © 2012 by The McGraw-Hill Companies, Inc. All rights reserved." McGraw-Hill/Irwin © 2006 The McGraw-Hill Companies, Inc., All Rights Reserved. 1. © 2003 The McGraw-Hill Companies, Inc. All rights reserved. Leasing Chapter Twenty-Six. Copyright © 2002 Harcourt, Inc.All rights reserved. Types of leases Tax treatment of leases Effects on financial statements Lessees analysis Lessors.